Creativity is a term that defines the LEGO hobby, but have you ever thought why some works are more creative than others? Nnenn shares a metaphor about his interpretation of creativity that many builders can benefit from knowing. In summary, each creation is a dot on a clustered diagram; while most fall near the center, the truly creative ones are the outliers. Read the short essay to find out how you can build something that stands out from the crowd. Thanks for posting this. Very nice, and applies to other fields, as well. Hm. Interesting point of view, but I don’t agree. 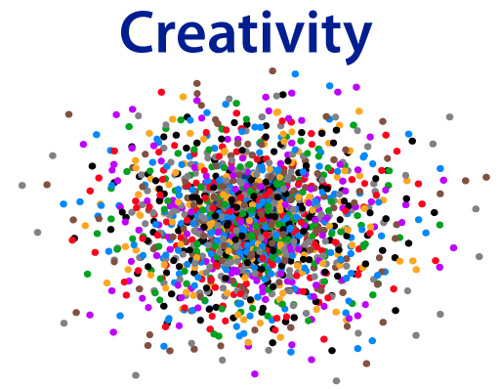 I don’t think creativity can be defined so easily and all the dots remind me of one of those color-blindness tests.